Drivers see them nearly every time they get in the car: a few of the millions of commercial trucks that travel our nation’s roadways, delivering goods and hauling supplies. Passenger car drivers pass trucks on city streets and merge with them onto highways, well aware of their large stature and imposing presence. While most professional truck drivers take their responsibility for safety very seriously, there are others who disregard that duty for any number of reasons and make poor choices behind the wheel of a truck. All too often, that negligence leads to a traffic accident. In 2014, approximately 411,000 crashes involving large trucks were reported to the police, according to the Federal Motor Carrier Safety Administration (FMCSA). Over 3,400 of those crashes resulted in a fatality, and 82,000 caused injury. When large trucks are involved in accidents on the road, the consequences can be very serious, even fatal. Today, we’ll learn more about the risks of commercial vehicles and what we can do to stay safe. What Makes Truck Crashes Different From Other Types of Accidents? When it comes to large trucks, the stakes are simply higher. Commercial vehicles are larger and heavier than passenger cars. They require more stopping distance than smaller vehicles, making it more difficult to control them when traffic or road conditions change quickly. When they roll over or slide, their wake of destruction can be far greater than that of other types of vehicles. Commercial trucks are also taller than most surrounding cars, increasing the risk for the smaller cars to underride the truck and be crushed. Due to these factors and more, trucks pose a much greater danger to other drivers and passengers when they are involved in accidents. Statistically, the occupants of the smaller vehicle are much more likely to be killed when a truck and a passenger car collide. According to the Insurance Institute for Highway Safety (IIHS), nearly 97 percent of those killed in two vehicle crashes involving a truck and a passenger car nationwide in 2014 were occupants of the passenger car. That same year in Georgia, 155 people were killed in large truck accidents. Driver fatigue. Professional drivers often find themselves under pressure to reach their destinations as quickly as possible. While recent changes in hours-of-service rules have aimed to reduce fatigued driving, it is well known that many drivers purposely disregard the rules to keep employers happy and earn money. Additionally, a nationwide driver shortage has put more pressure on existing drivers. Failure to maintain the vehicle. Though drivers are required by law to inspect and properly repair their vehicles often, this does not always happen. A lack of maintenance or poor maintenance can lead to problems, especially with brakes and tires. Those problems in turn affect the handling of the truck and can prevent the driver from traveling safely and stopping appropriately. Trucking company negligence. Unfortunately, there have been many situations in which a trucking company is negligent in its hiring or training practices. When companies hire a driver with poor driving skills, a history of driving violations, certain medical conditions, or improper license credentials, they are putting others on the road at risk. Additionally, companies have a duty to ensure that drivers are properly trained before getting behind the wheel. When they fail to do so, the consequences can be deadly. Shifting cargo. 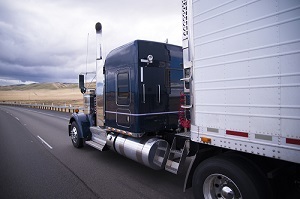 In a study by the FMCSA, shifting cargo was noted as having the highest relative risk to cause an accident. When drivers or companies fail to secure cargo properly, it can shift as the vehicle traverses the road. These shifts can cause an uneven weight distribution which makes the truck very difficult to handle. This is especially true with liquid cargo, as it can shift very quickly. There are many factors that contribute to large truck crashes. Many of these issues are preventable with a reasonable amount of care. Unfortunately, not all commercial drivers and their employers exercise this care, and the consequences too often are suffered by others who share the road. Stay out of the truck’s blind spot and "no-zones". As a general rule, if you can see the truck’s mirrors, the truck driver can see you. Give trucks plenty of room from both behind and in front. Be mindful of a truck’s wide turning radius. Do not attempt to pass a truck as it turns. Don’t hesitate to report any unsafe driving behavior to authorities. Even with drivers’ best efforts, truck accidents can still happen. If you or someone you love has suffered injuries in a truck accident, you may be entitled to compensation. Call our Atlanta truck accident attorneys at Rechtman & Spevak today at 888-522-7798 to learn more about your rights and schedule a free, no-obligation consultation.